Join the Teenage Mutant Ninja Turtles as they face off against new opponents: the evil Lord Dregg and Hi-tech, while also fighting against their own uncontrollable mutations in the mind-bending Season 9! 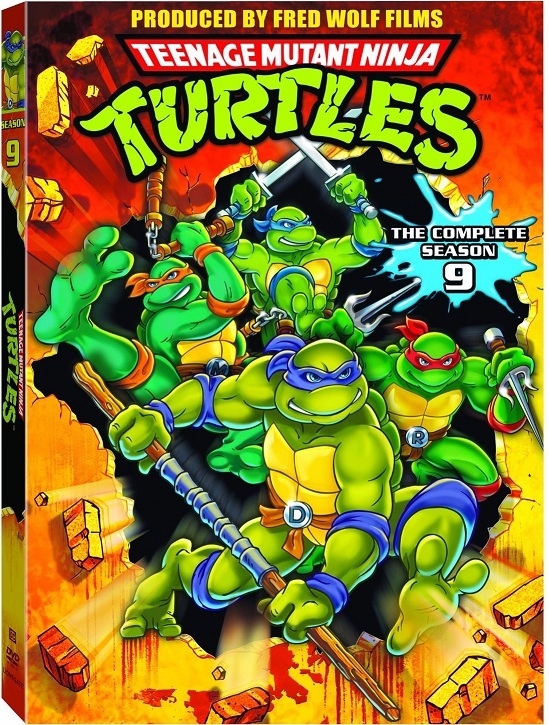 With the help of Carter, a new ninja ally, Michelangelo, Leonardo, Raphael, and Donatello – struggle to stop Lord Dregg from enslaving Earth, while overcoming Replicon, a battle droid that regenerates after each defeat. Featuring nonstop, sewer to-street action, these eight adventures will leave you wanting more turtle power! Includes 8 Shell-Busting Episodes: The Unknown Ninja, Dregg of the Earth, The Wrath Of Medusa, The New Mutation, The Showdown, Split-Second, Carter the Enforcer, Doomquest.